Computer-Aided Design (CAD) is hardly new to the world of drafting; however, innovations have made the process of creating new ideas and transferring those designs to physical form much easier and faster. Editing is also much easier than it has been in the past. As a result, CAD software is still widely used among architects, engineers, and numerous other design professionals. Although there are many top-of-the-line CAD programs currently available, there are also many options for free CAD software. Premium CAD programs are naturally quite valuable, because they contain an extensive variety of excellent functions and features. 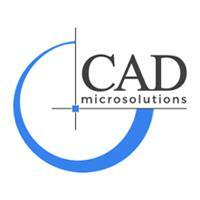 There are also many excellent CAD software programs that are either low cost or completely free. If you are on a small budget and do not need all of the features of a premier program, a CAD software that is free of charge could be just the right solution to your needs. Still, there are also many great reasons to consider upgrading from a free CAD software to a paid version when the time is right. Perhaps one of the best reasons to upgrade your free CAD package is that you will receive access to a number of tools you can use in your designs. Such enhanced drawing and editing tools can make an incredible difference in terms of creating a higher-standard final product. A larger array of tools can also make the designing and editing process much faster. Another excellent reason for upgrading from a CAD software program that is free of cost is that an upgraded package is often more customized to specific professions. For example, some packages are tailored to interior designers while others are customized to the needs of architects or civil engineers. An upgraded version will also frequently provide improved support. Such support could range from a dedicated technical hotline to detailed tutorials that can assist you in learning how to use the product correctly. If you should experience problems or have questions, you can rest assured that help is available when you need it. There are certainly many situations in which a free CAD software of cost can provide a number of benefits. However, there are also many excellent reasons for considering upgrading to a paid version, including the ability to work more efficiently, save time, and create a more detailed final product.